I’ve spent my days looking at gorgeous destination wedding ceremony styles and photos – beach weddings, garden weddings, and many other beautiful and unique locations. Every ceremony set-up is tailored to the couple’s vision. This makes it truly one-of-a-kind. While some are super elaborate and heavy with florals, there are others that are so sweet and simple, highlighting the beauty of the surrounding land and seascape. 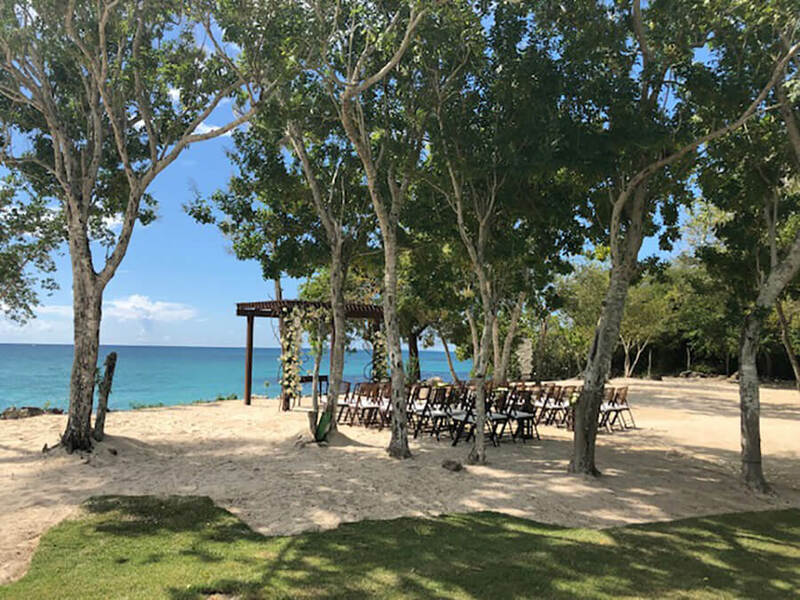 Really, the world is your oyster when it comes to destination wedding ceremony set-ups and all-inclusive resorts can cater to your every whim. 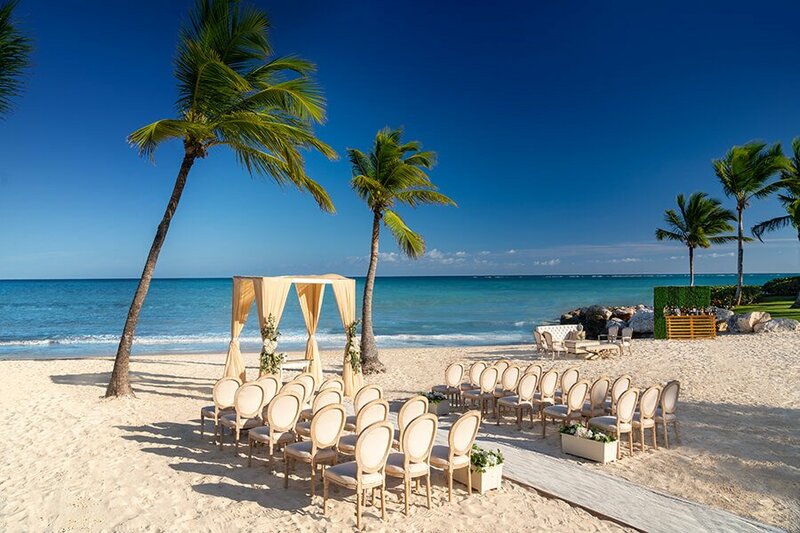 The original and most popular setting to say “I Do!” is the beach, and for good reason. This popular ceremony location no longer consists of a simple archway with chairs. I’ve seen some really creative set-ups, that incorporate lux chivari chairs and elaborate beach huppas. If you can dream it – it can be done. 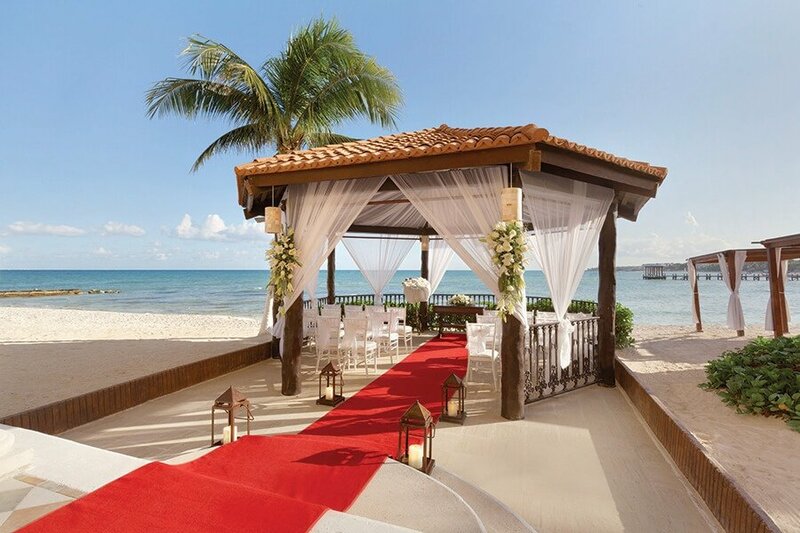 Many resorts have docks or piers that extend out to the sea, making them PERFECT locations for ceremonies. 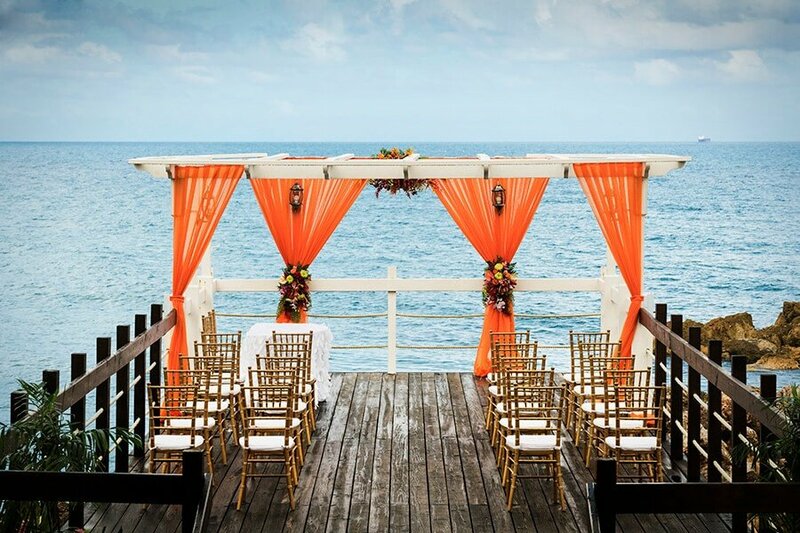 Can you imagine, the sound of the waves lapping under you as you say your vows? Sounds pretty dreamy to me. 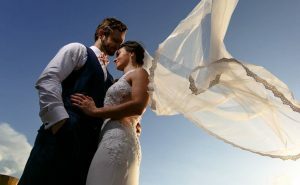 For the ultimate privacy, more and more resorts are offering private ‘sky decks’ as a destination wedding ceremony location. 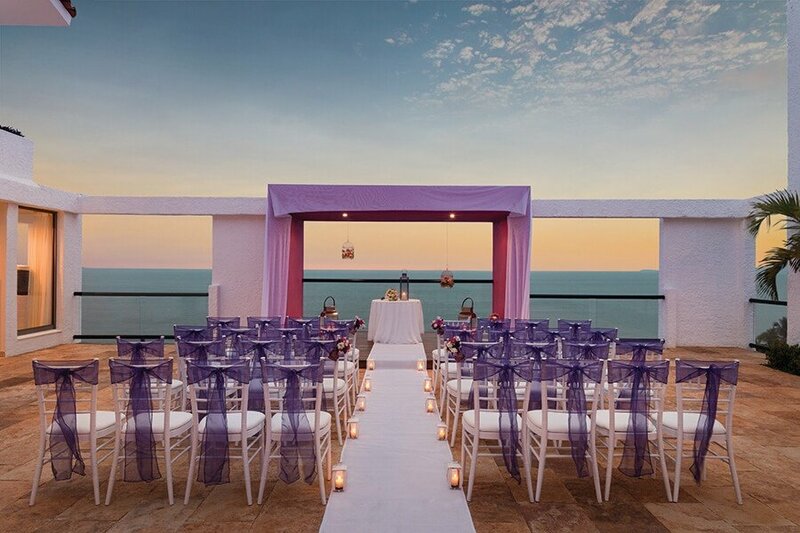 These areas are completely private, overlooking the sea, with no lookie-loos to disturb you during your celebration. Don’t want to feel the sand between your toes as you walk down the aisle? No problem! Garden locations are a beautiful way to incorporate the lush tropical foliage into your wedding. This also makes for stunning photos. You even get the best of both worlds, as many garden locations overlook the water. 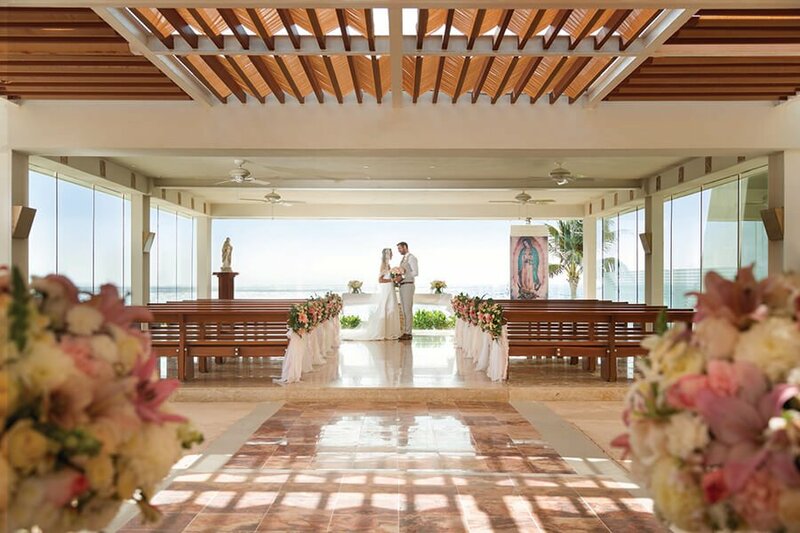 Indoor locations are traditionally used as a back-up location for rainy or stormy days, more and more couples are opting to say their vows this way. However, this doesn’t necessarily mean a big traditional ballroom. There are many gorgeous restaurants & lounges that require very minimal decoration, offering a beautiful backdrop for your ceremony. 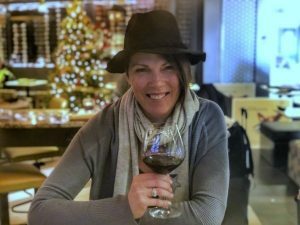 My one last tip is to let Pinterest & Instagram be your friend – there is so much inspiration to be found! Couples are becoming so creative with their ideas, and you can too. Put your own personal touch on your wedding day dreams – I can’t wait to see your pictures! Want to make your Destination Wedding Planning a breeze? Check out the special offer that I’m extending!